Today Capcom producers Tatsuya Kitabayashi and Yoshiaki Hirabyashi announced that the Nintendo exclusive Resident Evil remake (often called REmake by fans) is making its way to last and current-gen consoles and PC. This news has brought both a roar of applause and disappointment from fans of the series, the latter seeing the announcement as yet another rehash, remake, “cash grab”, or “pointless” port. But the release of REmake on new platforms outside of former Nintendo exclusivity is nothing we should be criticizing; this announcement means that Capcom is listening. They’re giving fans what they want whether or not those fans realize it. The Resident Evil remake was originally released on the Gamecube on March 22, 2002 as an exclusive. It was later ported to the Wii (along with Resident Evil Zero as part of the Archives series). Sometime over a decade ago, Capcom came to an agreement with Nintendo for exclusive Resident Evil games on their platform. Arguably one of the best Resident Evil games, REmake not only excelled in every way over the original PSX game, but it also set itself as one of the best survival horror games ever released, with an emphasis on resource management, a taxing difficulty, and amazing art direction. But despite all of this, not many people were able to experience the game. It was limited to the Gamecube, a struggling console in its own right but also one with a large focus on family friendly games. 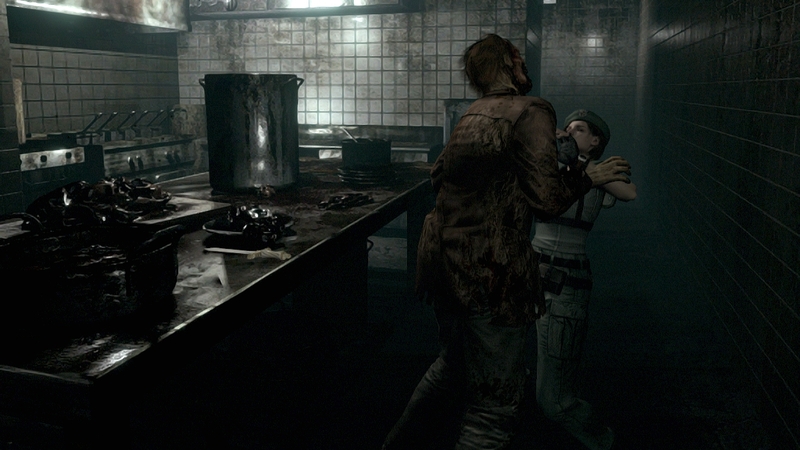 REmake stood out, and while fans of the horror genre flocked to it (and its subsequent title, Resident Evil Zero), the games were fenced away from a lot of gamers. Do you wish for Capcom to bring the Resident Evil series back to its roots? Then consider this: If REmake sells well, if it’s received well, then that shows that there is consumer interest for this type of game – something that was hard to achieve in the past when the game was limited to just the Gamecube. Capcom may very well be pursuing insight on what consumers want, not through petitions or forum posts, but through cold hard sales figures. For years, Capcom has declared that they’ve been listening to fans for feedback on the Resident Evil series. Resident Evil 6 was supposed to take the series back to its roots after Resident Evil 5 retread the all too familiar ground of Resident Evil 4 (but with less originality), but we saw that it did the opposite of that when each new trailer revealed more and more of an action focus. Once RE6 was in the hands of consumers and critics, Capcom saw that their efforts were not too appreciated by those that wanted survival, not vague promises of such through promotional terms like Fear You Can’t Forget or No Hope. Depending on who you talk to, Resident Evil: Revelations was the most successful attempt at a horror focused Resident Evil game in years. But Revelations was another Nintendo exclusive horror-focused Resident Evil game (up until last year when it was ported to last-gen consoles and PC). Its initial exclusivity, and exclusivity in general, holds back a game’s sales potential. If Capcom was gauging what to do with the series based on how well a horror Resident Evil sold in comparison to an action Resident Evil, of course the horror games would fall behind. Is the goal of this port to make a quick buck? Of course it is. HD remasters are cheaper to produce than a full-blown game, but let’s look past Capcom’s knack for porting their successful games to everything but the kitchen sink. Capcom is giving attention to the most survival horror oriented game in the Resident Evil series. They’re doing what we have wanted for so long. They’re looking at the scariest game in the bunch and are making it accessible to nearly every platform owner. Capcom needs to give their survival horror Resident Evil games the light of day to succeed. This HD remaster of the Resident Evil REmake may stand for something more than a port; it might be a test. A test that Resident Evil fans needs to pass if they want Capcom to recognize their demands.